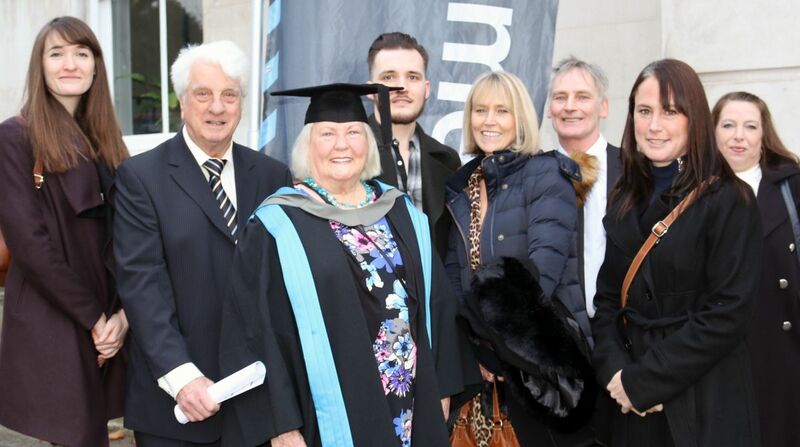 Completing a Masters degree at the age of 82, more than half a century after she left school at just 15, has been a life-changing experience for grandmother Hilary Forde-Chalkly, who has just graduated from Kingston University. 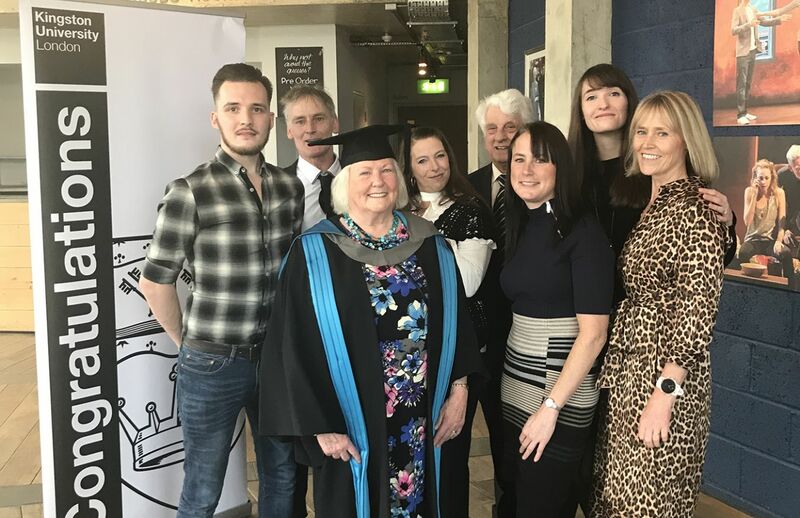 Receiving her MA in Creative Writing at the graduation ceremony at Kingston's Rose Theatre, supported by husband Syd, three children and two grandchildren, Hilary admits she still can't quite believe what she has accomplished over the past two years. 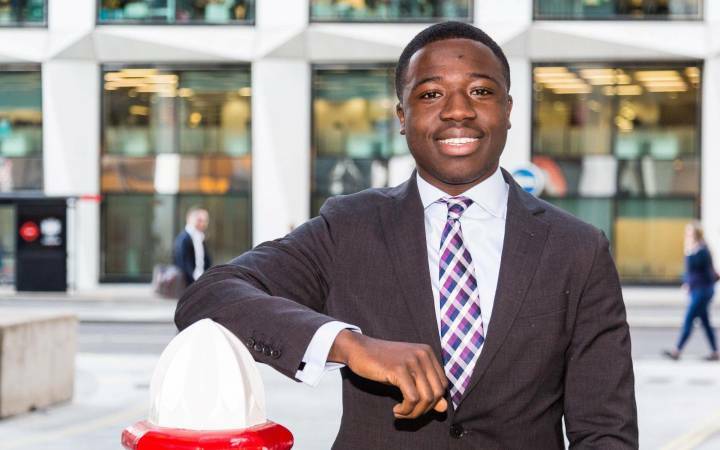 "I left school at 15 with just one O level so it never entered my head to go to University. I never imagined I'd be wearing a gown and mortarboard," she said. "It's not an exaggeration to say that this has been a life changing experience for me. It's not just about learning new skills, but seeing and understanding a totally different way of life to the one I had led. It's been a so worthwhile." 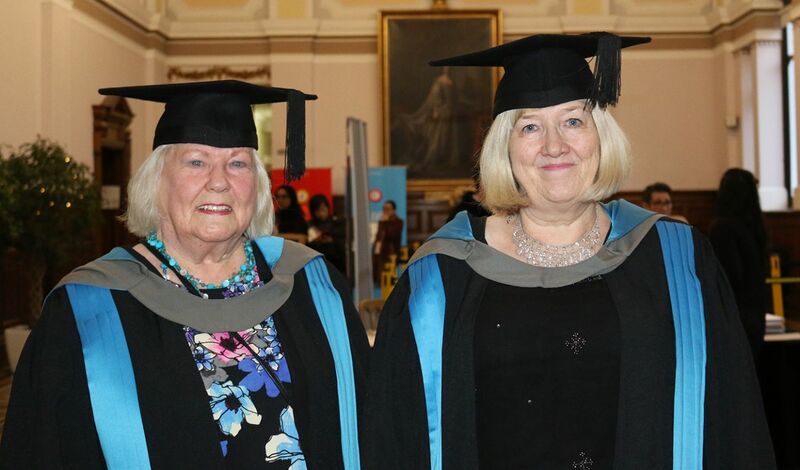 The retired businesswoman only signed-up for the MA in Creative Writing at Kingston University after her friend and fellow amateur novelist, Carol Marshall, suggested they apply together after the pair got to know each other at evening classes. With no experience of studying at higher education level, Hilary admits to some apprehension about going to university and mixing with students who were up to 60 years younger. "I was nervous because I worried about mixing with youngsters and we seemed to have a lot of young people on the course," she said. "But it wasn't a problem at all – I was just one of them and they completely accepted me. We had to work closely together and edit each other's work and there was lots to be learned from that. They were such a wonderful group of people." 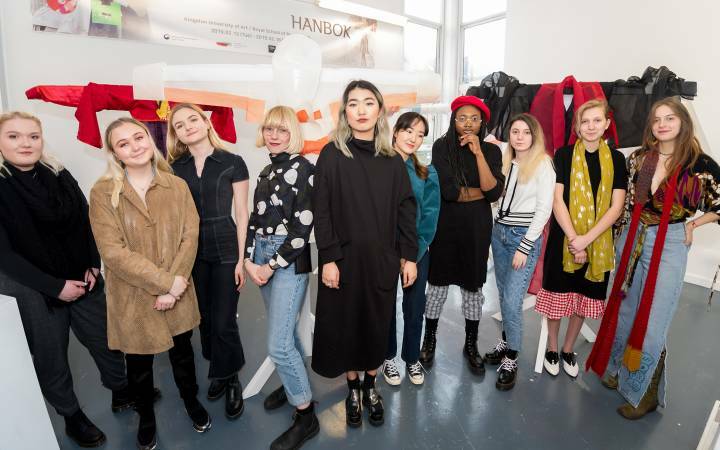 Course director and associate professor Adam Baron, who taught Hilary, said the octogenarian proved an inspiration to other students and was delighted with her commitment. "Hilary was a wonderful student. Her age quickly became irrelevant and it was brilliant to have her in the group with 20 and 21 year-olds, showing them that you never give up on improving and getting better," he said. "She was attentive and brave enough to challenge herself." 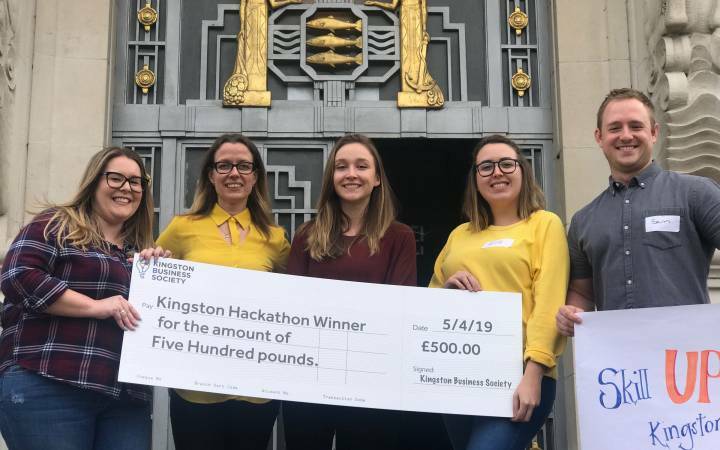 For Hilary, who took on the four-hour round commute to Kingston from her home in Berkhamsted, Hertfordshire once a week, one of the biggest challenges was managing the workload, particularly as she hadn't studied before. But she credits the support she received from Kingston University along the way in helping her tackle this. 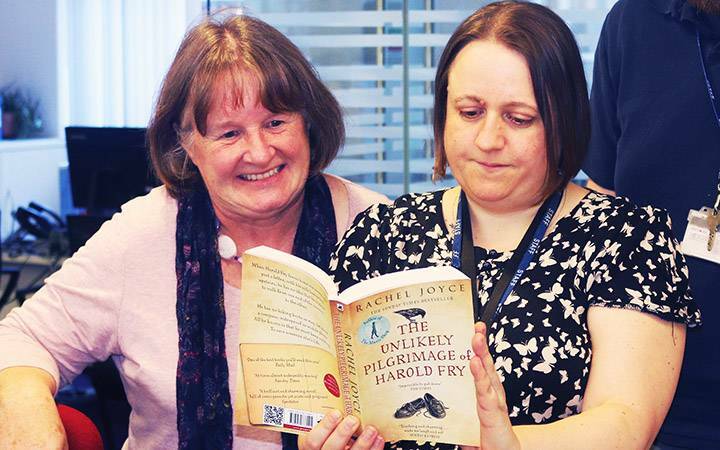 Both Hilary and her friend Carol joined the University's Beyond Barriers mentoring scheme with mentor Farah Halime taking them under her wing and supporting them in a number of ways, including looking over their work, making useful connections within the industry and helping them submit novels for competitions. But it's her family that Hilary reserves the most praise for, acknowledging that without them she wouldn't have been able to dedicate the time to develop her writing talent. It was her two daughters who first encouraged her to look for new opportunities during her retirement, and her 79-year-old husband Syd came out of retirement to work fulltime in order to support her financially. The sacrifices were worth it, said Syd, adding that the family were hugely proud of what Hilary had accomplished and also grateful for the opportunities that the University had opened up for her. "Her talent for writing has grown enormously over the two years and the whole family is absolutely delighted she's got this far. She couldn't have worked any harder than she did and we're so proud of what she's achieved," he added. When considering who would be most proud of her, it's her own mother that Hilary remembers: a teacher who was devastated that Hilary was forced to miss school due to her childhood illness and then forced to leave school prematurely after her father died. "When I was ill as a child, I wasn't even allowed to sit up in bed and hold a book and that must have broken my mother's heart as she saw me slipping further and further behind in my education. If she was alive, this would have made her so proud." Hilary intends to apply the skills she's learned from the course to finish her romantic saga and ultimately see it published. With two books in the trilogy now completed - Through the Manor Gates and Georgina's Manor - she will embark on getting the third written within the next year. She hopes to travel the country for book signings once she's secured a publisher. Revelling in her reputation amongst family and friends for eschewing the lifestyle more typically associated with a pensioner, Hilary said she has no plans to start slowing down either. "There are two sets of retired people in their late 70s and 80s – one lot just sit around and get ill and the others get out and achieve things - and that's what life should be like," said Hilary. "You should not sit on a sofa and let life go by. My sofa is going to last me for years as I have no intention of using it." Find out more about studying an MA in Creative Writing at Kingston University.